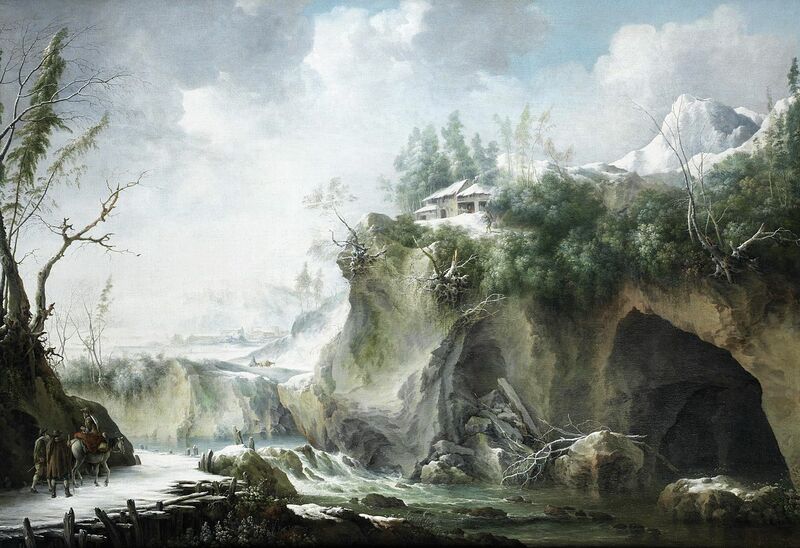 Francesco Foschi – Museo Thyseen-Bornemisza Inv. no. 146 (1979.11). 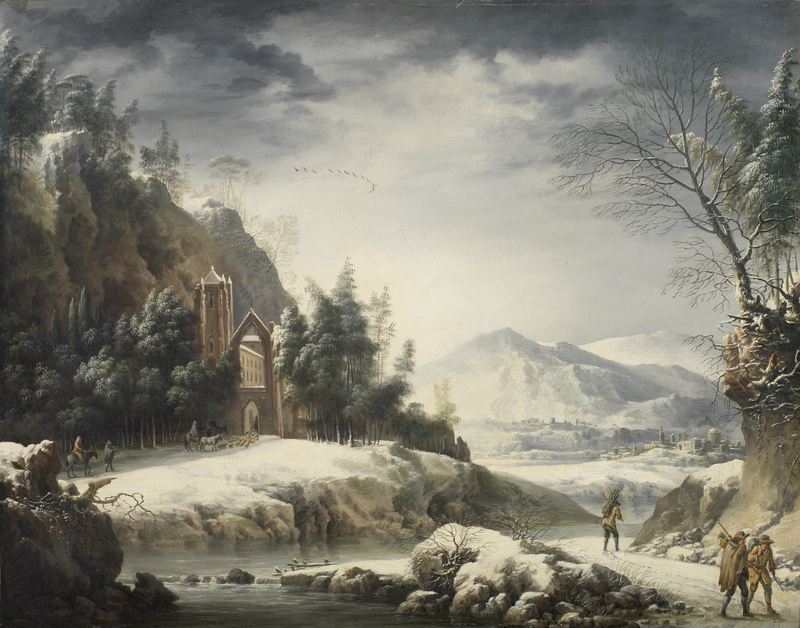 Title: Winter Landscape with Figures. 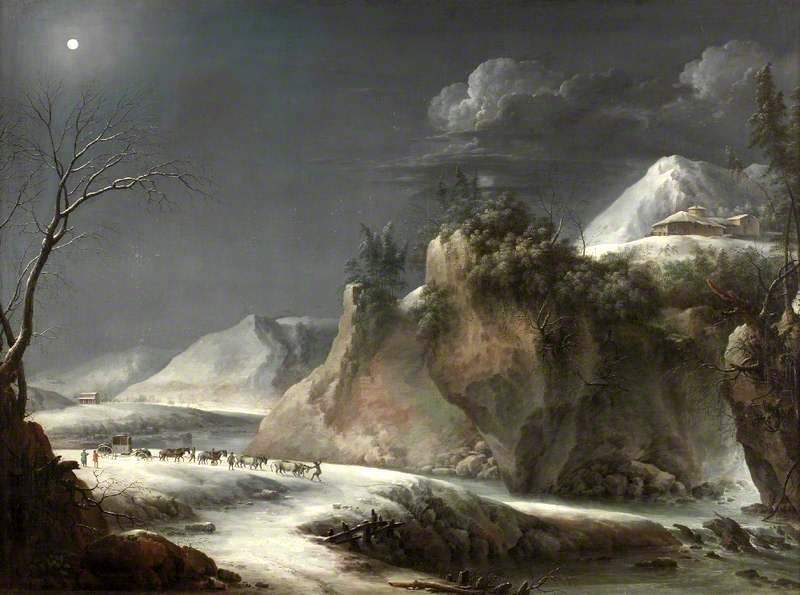 Date: c. 1750-1780. Materials: oil on canvas. Dimensions: 48 x 62 cm.. Nr. : Inv. no. 146 (1979.11). 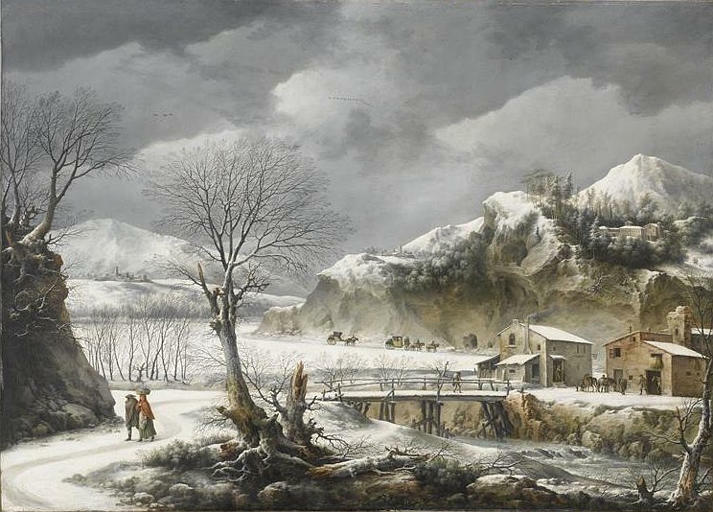 Source: https://www.museothyssen.org/en/collection/artists/foschi-francesco/winter-landscape-figures. I have changed the light and contrast of the original photo. Francesco Foschi – private collection. 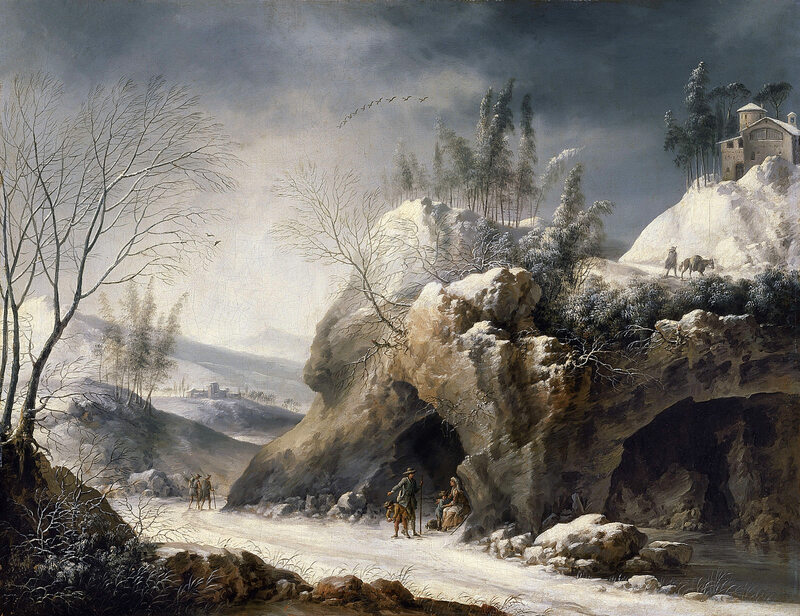 Title: Winter Landscape with Travellers. Date: c. 1730s-1770s. Materials: oil on canvas. Dimensions: 75 x 99 cm. Source: http://dipintiantichigiamblanco.it/wp-content/uploads/2014/12/big_20141241821430.foschi-23.jpg. Francesco Foschi – private collection. 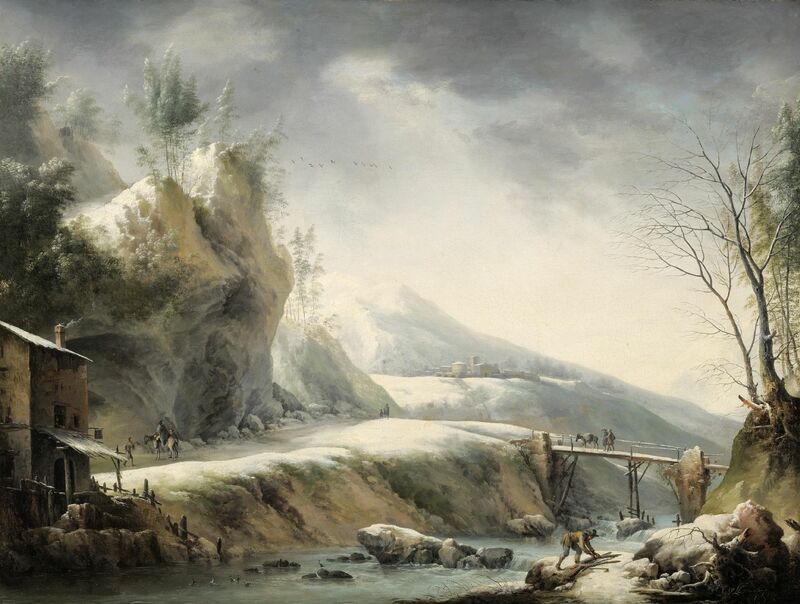 Title: A River Landscape in Winter, With Travellers on a Snowy Path. Date: c. 1750-1780. Materials: oil on canvas. Dimensions: 122 x 170.5 cm. Auctioned by Bonhams, in London, on July 4, 2012. 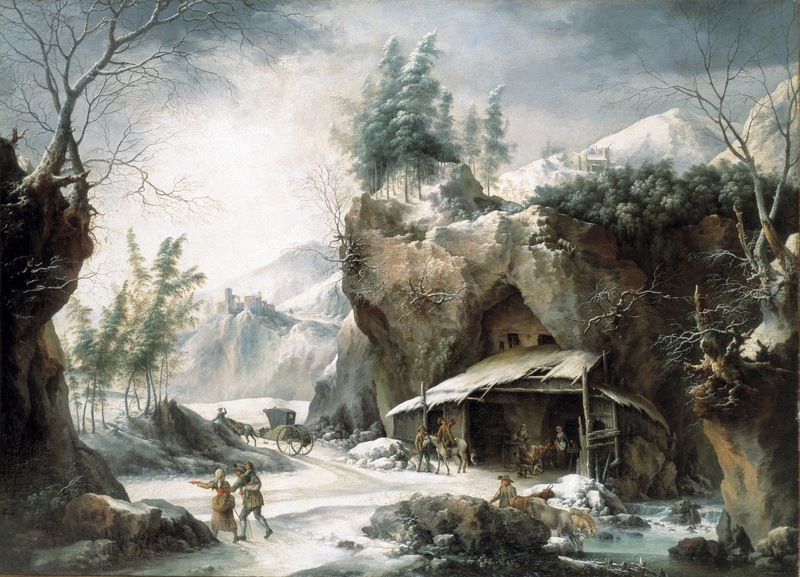 Source: https://commons.wikimedia.org/wiki/File:Francesco_Foschi_-_A_river_landscape_in_winter,_with_travellers_on_a_snowy_path.jpg. Materials: oil on canvas. Dimensions: 48 x 62 cm. Nr. : 146 (1979.11). Source: http://www.museothyssen.org/en/thyssen/zoom_obra/13. I have changed the contrast of the original photo.